The study of internal gravity waves provides many challenges: they move along interfaces as well as in fully three-dimensional space, at relatively fast temporal and small spatial scales, making them difficult to observe and resolve in weather and climate models. Solving the equations describing their evolution poses various mathematical challenges associated with singular boundary value problems and large amplitude dynamics. 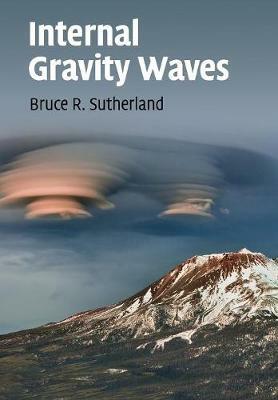 This book provides the first comprehensive treatment of the theory for small and large amplitude internal gravity waves. Over 120 schematics, numerical simulations and laboratory images illustrate the theory and mathematical techniques, and 130 exercises enable the reader to apply their understanding of the theory. This is an invaluable single resource for academic researchers and graduate students studying the motion of waves within the atmosphere and ocean, and also mathematicians, physicists and engineers interested in the properties of propagating, growing and breaking waves.